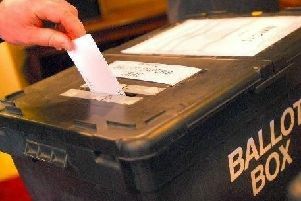 Proposed boundary changes for the Peterborough constituency will help Labour win the seat at the next general election, according to the party’s group leader on the city council. Cllr Mohammed Jamil believes incorporating the ward of Fletton & Woodston into the constituency will benefit his party going forward. Recommendations for new Parliamentary boundaries were released by the independent Boundary Commission for England on Tuesday (September 13) but are now subject to three rounds of consultation before they are voted on in 2018. Peterborough’s MP is currently Stewart Jackson who took the seat from Labour’s Helen Clark in 2005 and was re-elected in 2010 and 2015. However, his majority at the last election was just 1,925, meaning that Peterborough will be a target seat in 2020 when the next general election is due. Cllr Jamil said: “We have long called for Fletton and Woodston to be part of Peterborough. We think it’s a good thing. “If the last election is anything to go by we think we have strong support there. Fletton & Woodston currently has two Conservative councillors and one from Labour. Cllr Jamil was less pleased with how the boundary changes will affect his party nationally, with the number of MPs to be reduced from 650 to 600 and constituency sizes made more equal. He said: “There seems to be a bit of gerrymandering. We are going to lose a great deal of hard-working constituency MPs.